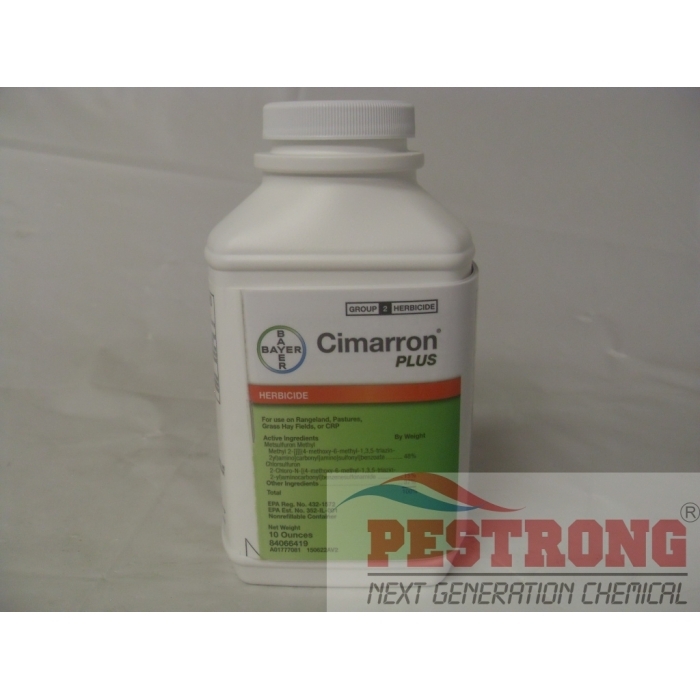 Where to Buy Cimarron Plus, Cimarron Plus Herbicide - 2 - 10 Oz - $34.95 for Sale with Fast Free Shipping! Cimarron Plus Herbicide - 2 - 10 Oz can be used for pensacola bahiagrass, multiflora rose, blackberry, dewberry, musk thistle, canada thistle and other weeds invade your pastures. DuPont Cimarron Plus herbicide can be applied during the spring, summer or fall to control a wide range of grasses and broadleaf weeds that reduce forage yields and impede pasture grazing. You can also apply Cimarron Plus in broadcast or spot applications for cost-effective results. There is no waiting period between application and the grazing of livestock. Outperforms 2,4-D alone on weeds like multiflora rose, blackberry, musk thistle, curly dock, buttercup, common mullein and pigweed. Very effective and economical control of multiflora rose. Controls musk thistle, even if it is bolting, to eliminate this noxious weed. Systemic action eliminates the entire plant, roots and all. Can be applied by ground or air. Not a federally restricted-use pesticide. No grazing restrictions. Safe for all cattle and horses. Each 2 Oz of cimarron plus bottle included measuring cup, but 10 oz bottle does NOT INCLUDED measuring cup. If need measuring cup, leave message when place order. It comes in a small package, but it is a very powerful wee killer. I've used this product and it used wonderfully, so back to get some more! I have used this product before with outstanding results . This pricing was great and the shipping time was exceptional .